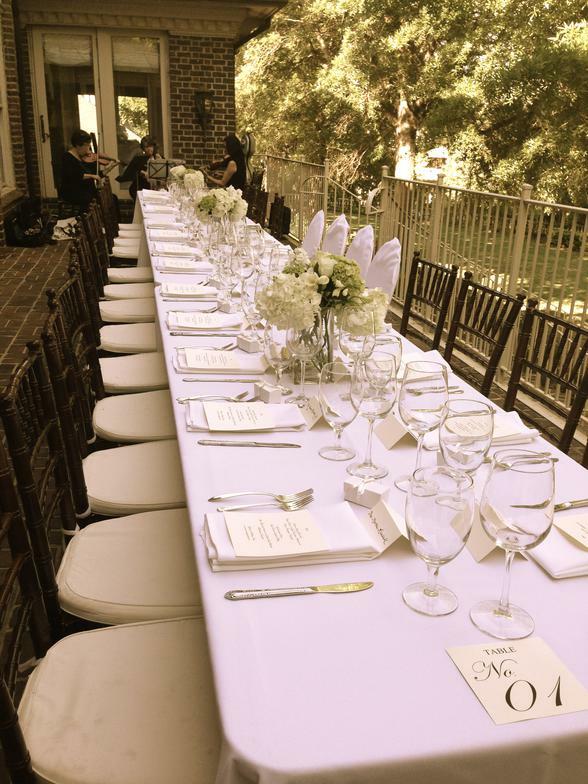 Whether your corporate event is in need of the perfect locale or the perfect menu, Mosteller Events can help! We bring a combined 50 years of experience in the culinary and hospitality industries, as well as deep roots to the local North Carolina community. We are zealous to partner with you and learn about how you envision your party, gathering, or event—and to do anything and everything we can to make it memorable. Mosteller Mansion is open and available for your event; the former private residence can be rented on a whole-house or single-room basis. We have small rooms perfect for intimate lunches, and larger rooms that can seat over 100 people. A full bar, a big- screen TV, full balcony access, and beautiful outdoor areas are also located on site, to say nothing of our full kitchen and catering offerings! And as far as catering goes, we are happy to prepare menus and serve at events held off-site as well as on. To learn more, to tour the facility, or simply to talk with us about our catering options, please contact Mosteller Events at your convenience.